This is a first for us, recommending a place to stay you can’t directly book with Hotel Goldmine. Well, we love travel and wonderful locations and this ticks all those boxes, so why shouldn’t we help you find the Via della Sette! As much as we like hotels, from time to time it’s nice to stay in an apartment, and we found an absolute gem in Venice. The Via Della Sette, a 2 bedroom apartment, with a beautiful kitchen, 2 bathrooms, large living room with separate TV room area. Is exceptional, the decor is stunning and has clearly been assembled with passion. 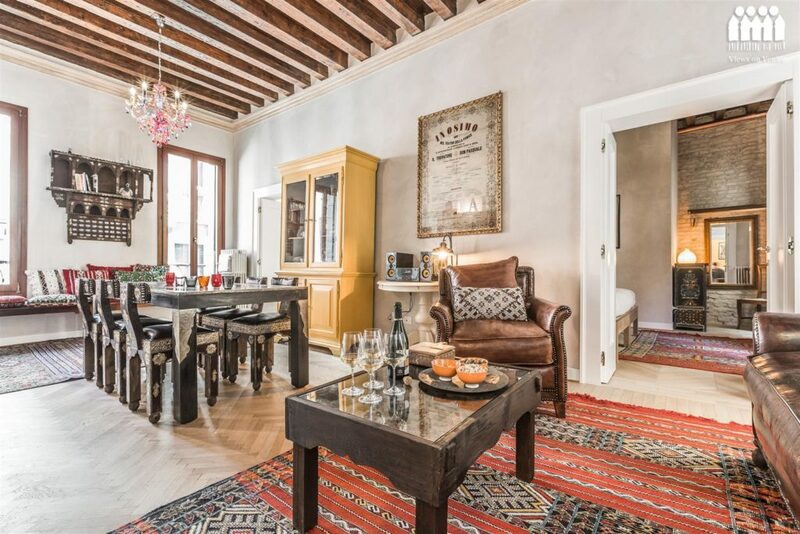 It sits on one of the many canals that this city is oh so famous for, as an added historical bonus the apartment is almost directly opposite the former home of Mozart! You have a clear view of it from the living room windows (that also double as small balconies, for sitting.) 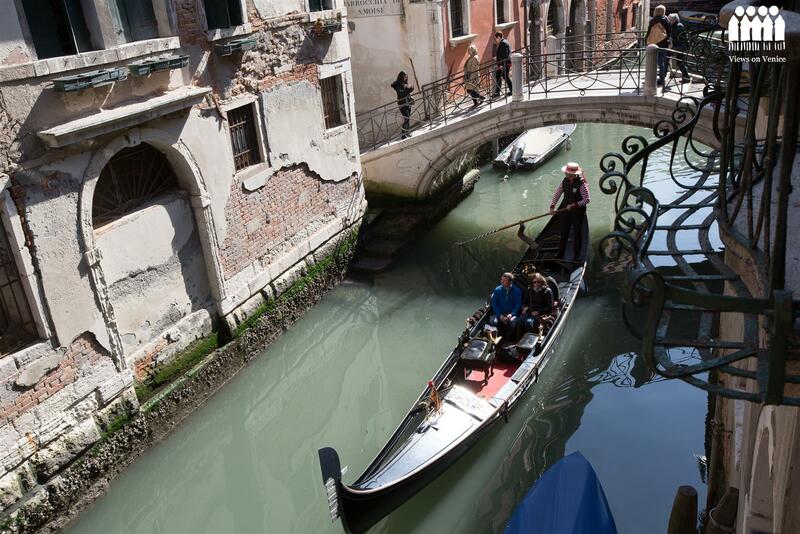 Relax and watch the constant stream of Gondolas pass you by, listen to the singers, accordion players and guitarists as they serenade their ever-changing international guests. 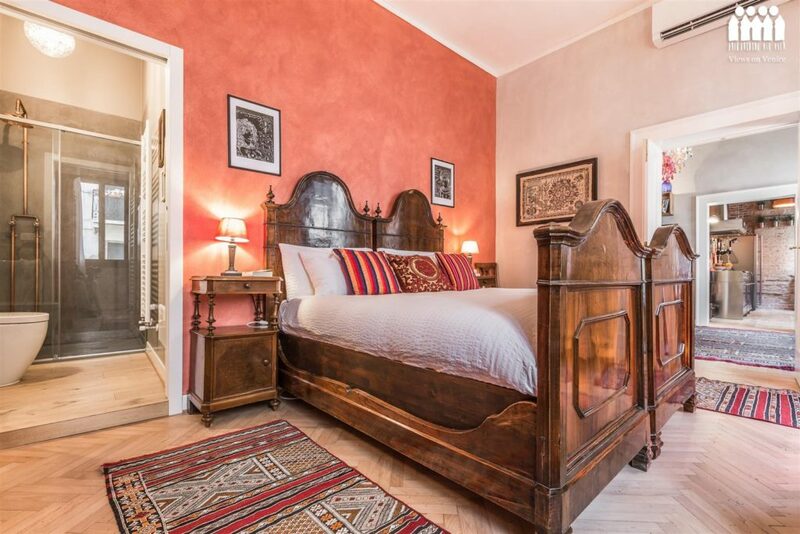 Located in the centre of San Marco, close to the famous St Marks Square. Rialto, Bridge of Sighs.. nothing is more than a 10 minute walk away. Once you learn your bearings you’ll be strolling round like a local in no time. So yes, We Love it, in fact we’d go so far as to say .. We adore it! Booking available through Views on Venice, link below.